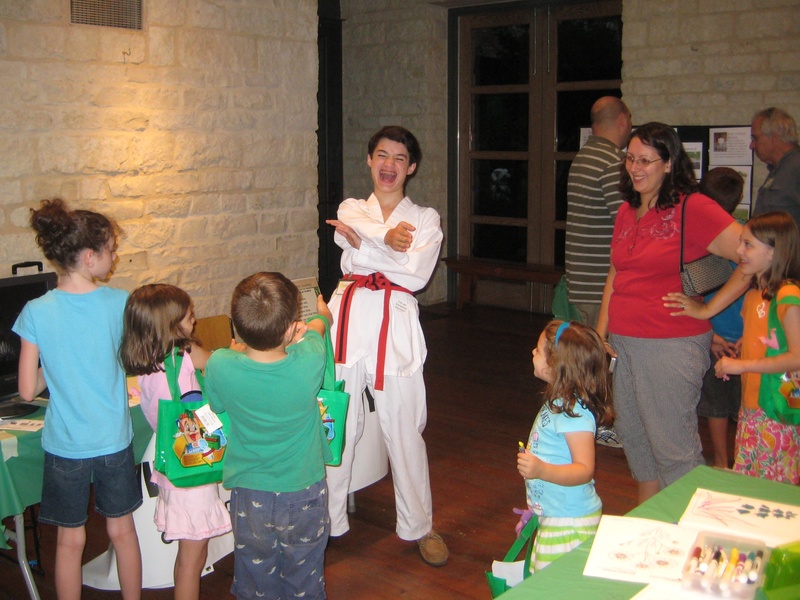 It was wonderful bringing the Invasive Hunter Academy to the Lady Bird Johnson Wildflower Center on Thursday, June 11, 2015, to help teach kids about invasive species as part of this summer’s Nature Nights events. I previewed the event along with some videos in my Yum! Edible Invasive Species at the Wildflower Center during Nature Nights blog post. What a hit they were! The Taro chips went fast, but many agreed that the Bamboo was an acquired taste. 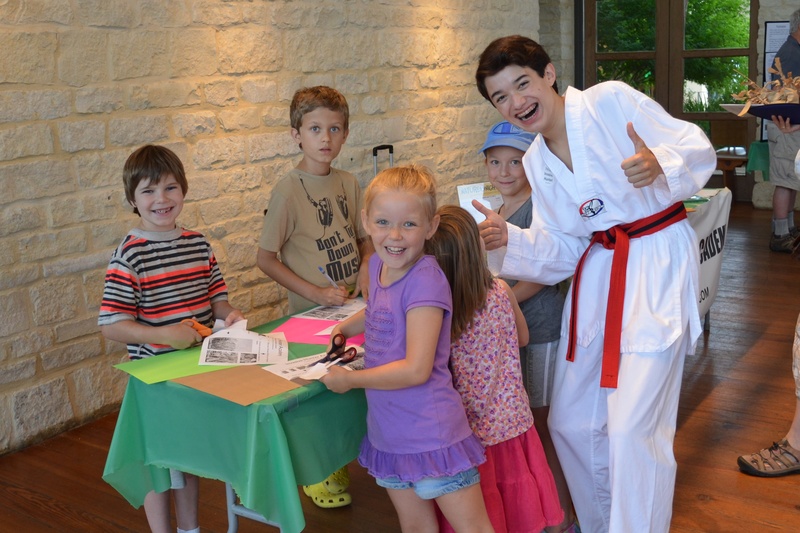 The young Austin naturalists found a great spot near the academy table to sample invasive plant species and work on their Invasive Hunter action diorama. Remember that to become an Invasive Hunter, you need to learn the action moves to take down your opponent. I enjoyed talking with kids about invasive species as they picked the invasive plant they wanted to battle for their action diorama. 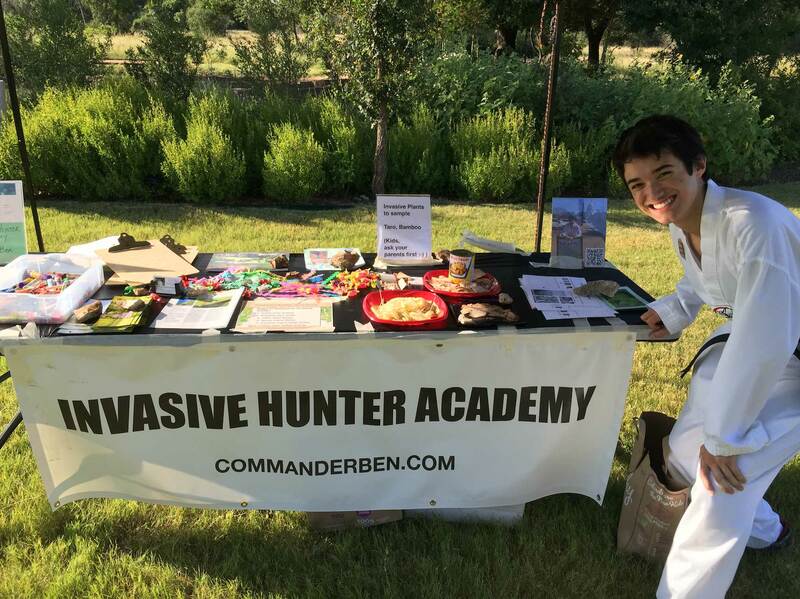 Thanks, Ms. Julie Graham, Wildflower Center Education Specialist, for inviting me to bring my Invasive Hunter Academy back to Nature Nights this year! 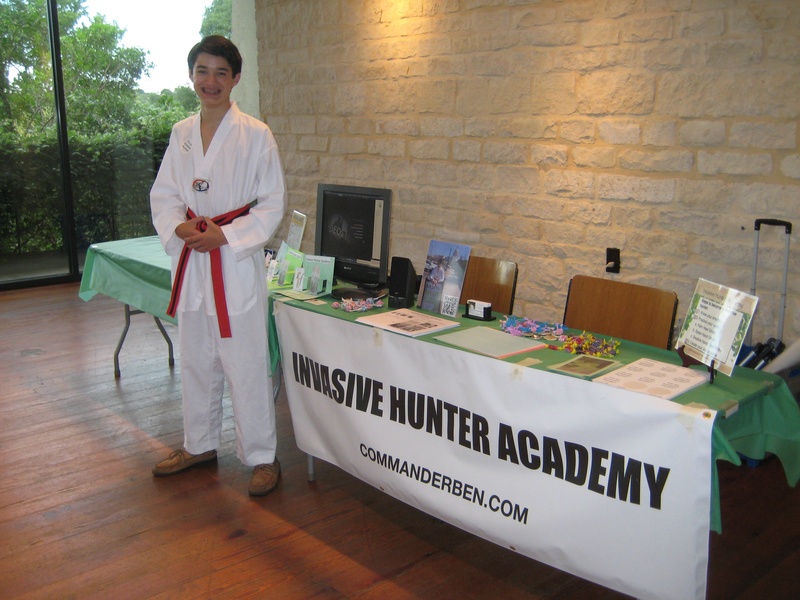 We had a lot of Austin kids graduate as Invasive Hunters, ready to protect their native ecosystem from non-native plants. I hope that you’re having a wonderful summer! 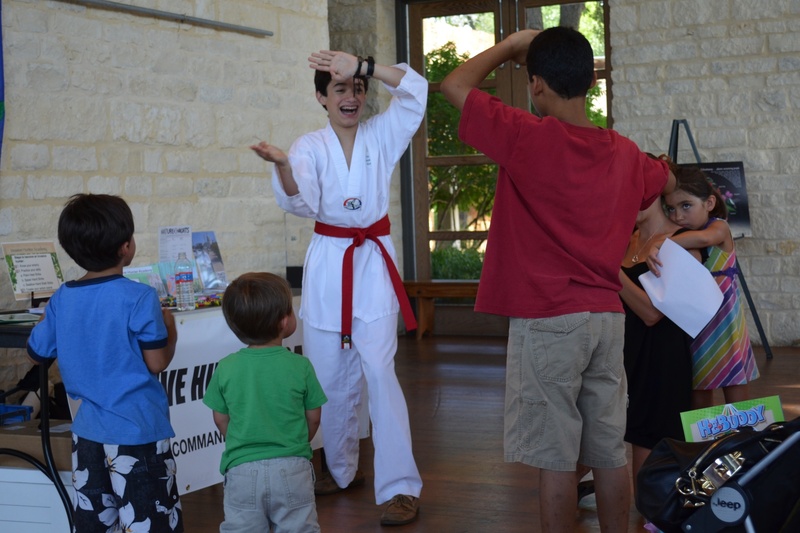 Nature Nights returns to the Lady Bird Johnson Wildflower Center this Thursday, June 11, 2015, and I’m excited to let you know that I’ll be there with my Invasive Hunter Academy. 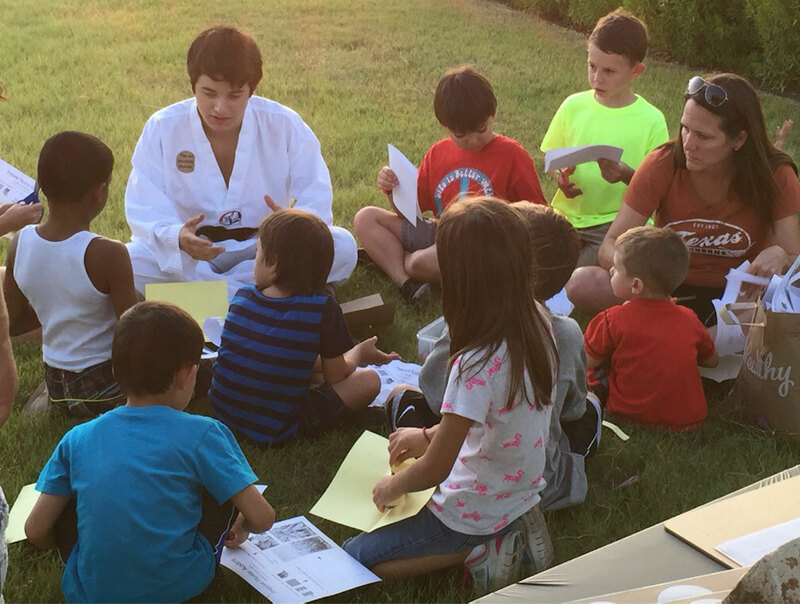 The Wildflower Center hosts this free, fun, and family event on Thursday nights during the summer. 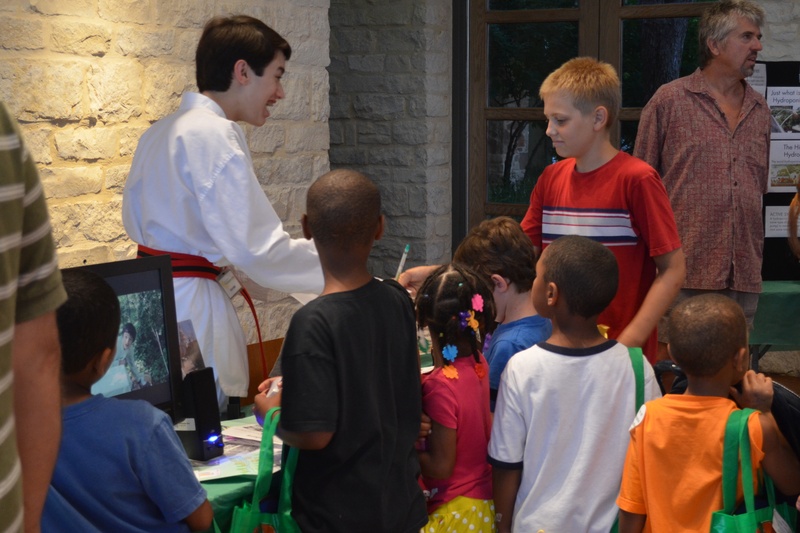 It’s a great opportunity for kids to enjoy learning about the plants, animals, and the ecology of Central Texas. You’ll get the chance to create crafts, go on hikes and adventures, and listen to nature presentations. In addition to goodies that they can pick up as part of the nature night activities, kids 12 and under will also receive a free gift from the gift store. Plants – They taste good! Invasive species are not native to the ecosystem, and they can cause millions of dollars in damage to the environment and economy. The best way to get rid of invasive species is to prevent their spread. If they’re already established, removal efforts can be time consuming and expensive. It may not even be feasible to get rid of them. For example, it’s not going to be possible to remove KR Bluestem from our Texas roadsides and fields, even with the Amazing Invasive Hunter Man’s help. There is another way to get rid of invasive plant species…to eat them! 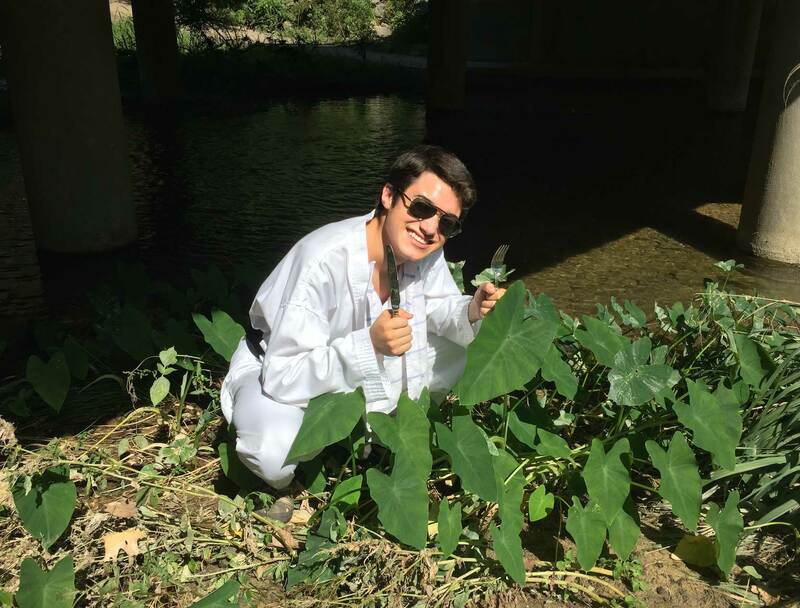 Join me at the Nature Nights event on Thursday, June 11, to learn about invasive plant species you can eat, including a variety of delicious Elephant Ear (Colocasia esculenta – also known as Taro) and Golden Bamboo (Phyllostachys aurea). Note: Always be sure to learn about invasive plant species to see if they are edible before you decide to eat them. (Kids, always ask your parents first.) For example, don’t try eating elephant ear raw. It’s inedible, but the variety commonly known as Taro, can be boiled or cooked to make it both edible and tasty. 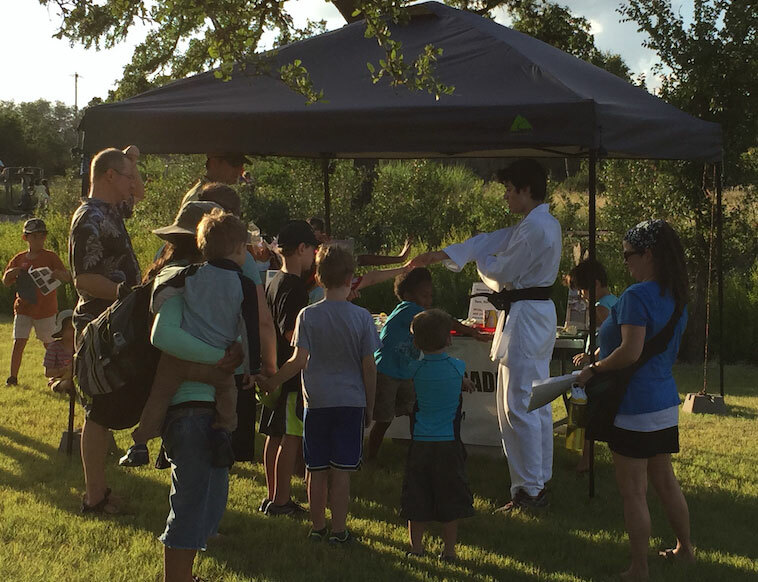 In addition to learning about invasive species and sampling an invasive plant as part of the Invasive Hunter Academy, you’ll also be able to take a guided tour of the gardens, enjoy story time, and go on a scavenger hunt as part of the Nature Night’s event. That’ll build up your appetite! In an Ecesis Far Far Away… – Best watched while you’re eating Taro. The Man with the Golden Bamboo – Savor this thriller with your bamboo. Did invasive plants wet your appetite for more invasive species? 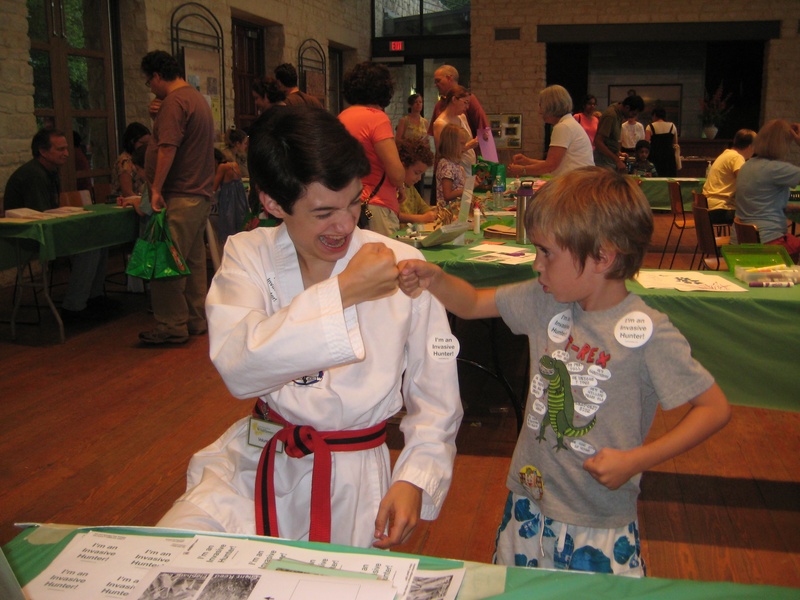 There are many fun Nature Nights events planned for this summer. National Invasive Species Awareness Week (NISAW) 2015 starts today (February 22) and continues through February 28! After being absent from Washington D.C. since 2012, NISAW 2015 returns with lots of activities, including a invasive species fair and congressional reception on February 25. There are also many state activities too. What happened to National Invasive Species Awareness Week 2013 and 2014? Sadly, the events for NISAW 2013 were cancelled because of the government sequester and the event was not rescheduled until 2015. NISAW 2013 was special for me because the National Invasive Species Council (NISC) gave me the 2013 Outstanding Terrestrial Invasive Species Volunteer of the Year Award. What a great honor! But I was disappointed that I couldn’t go to Washington DC that year to accept the award. 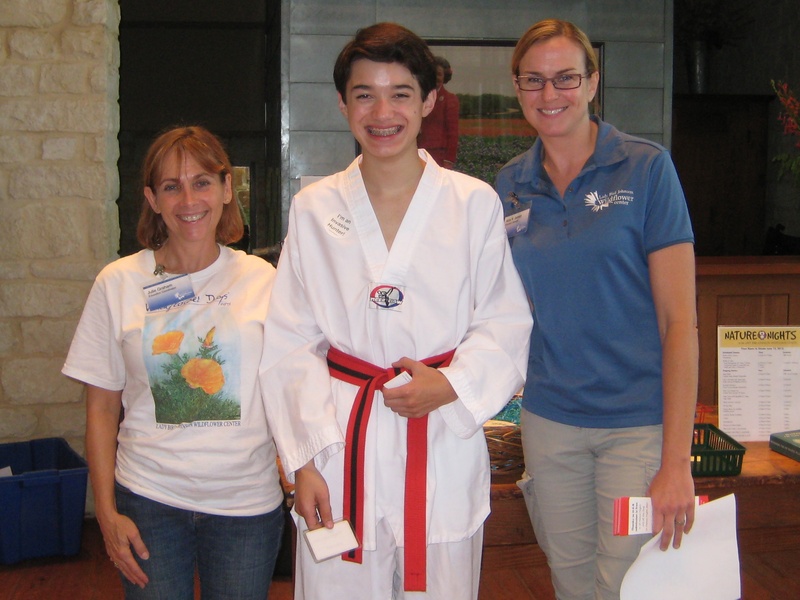 This year’s Kid’s Day at NISAW 2015 is being held on February 28, 2015, during National Invasive Species Awareness Day at the National Museum of Natural History (NMNH). I have some great news to share with you! I’m excited to announce that I’ll be bringing the Invasive Hunter Academy back to Nature Nights at the Lady Bird Johnson Wildflower Center in Austin, Texas. 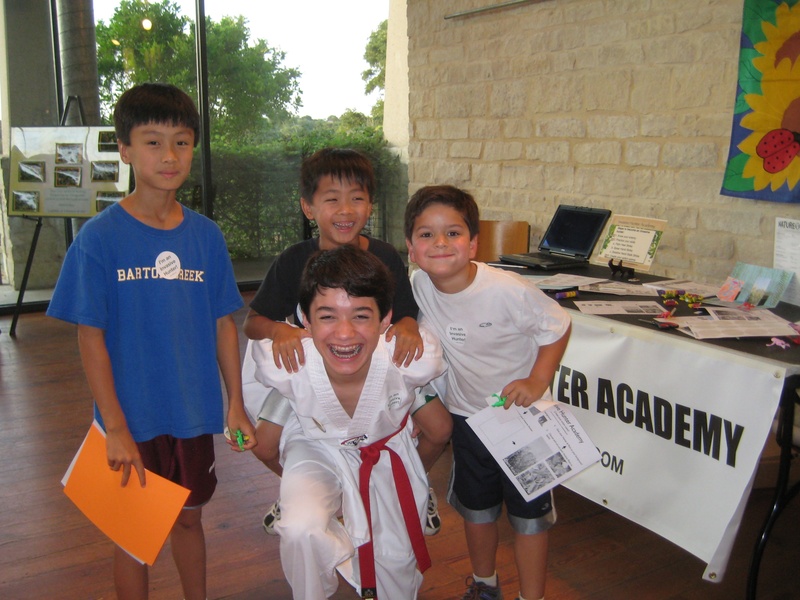 Which invasive species will you battle at the Wildflower Center? 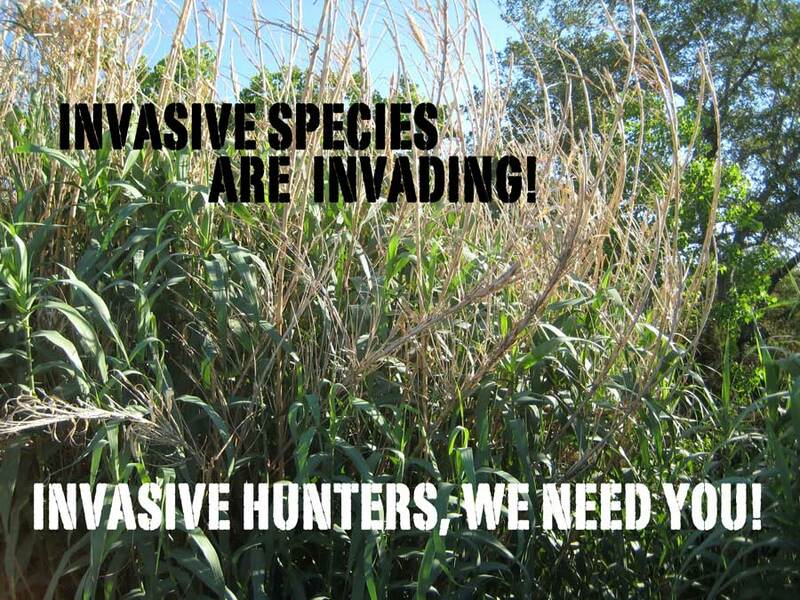 Wanted: Invasive species – Needed: Invasive Hunters to protect our native ecosystems! Invasive species at the Wildflower Center? There are a few plants that I’m sure will not be part of the plant petting zoo during Nature Nights, and they’re all invasives! You can do your part to help stop the spread of these non-native plant species from overrunning our native ecosystem. Graduates from the academy become Invasive Hunters, ready to protect their native ecosystems. We need young naturalists (like you and kids you know!) to become guardians of our central Texas galaxy! 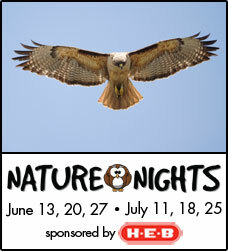 Nature Nights starts this Thursday, June 13, at the Lady Bird Johnson Wildflower Center from 6 to 9 p.m. The event is free and has great activities for the entire family. Get to know the difference between a root and shoot at this Thursday’s event, focusing on the power of plants. And I have great news to share! 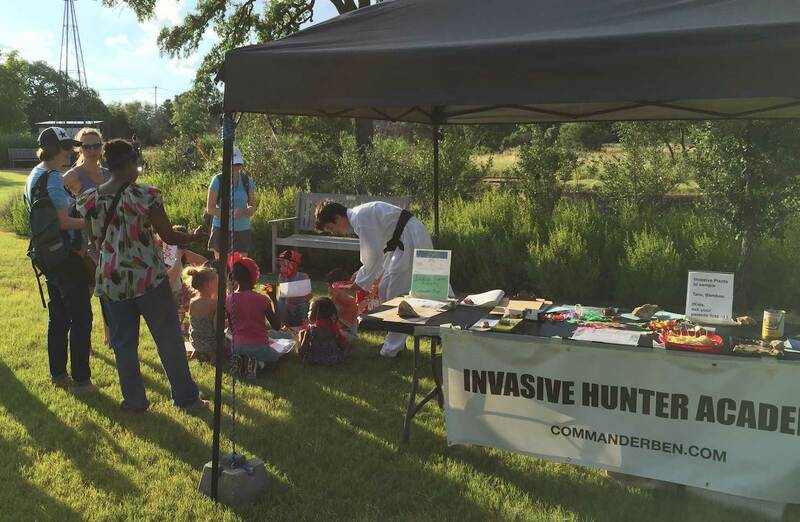 I’m bringing back my Invasive Hunter Academy to this Thursday’s Nature Nights, so be sure to stop by and say “Hi!”, get to know some common invasive species in Central Texas, and train to become an Invasive Hunter. It’s lots of fun for kids of all ages! Get a recap of last year’s Nature Nights and a peek at one of the action dioramas that you can create as part of the Invasive Hunter Academy. 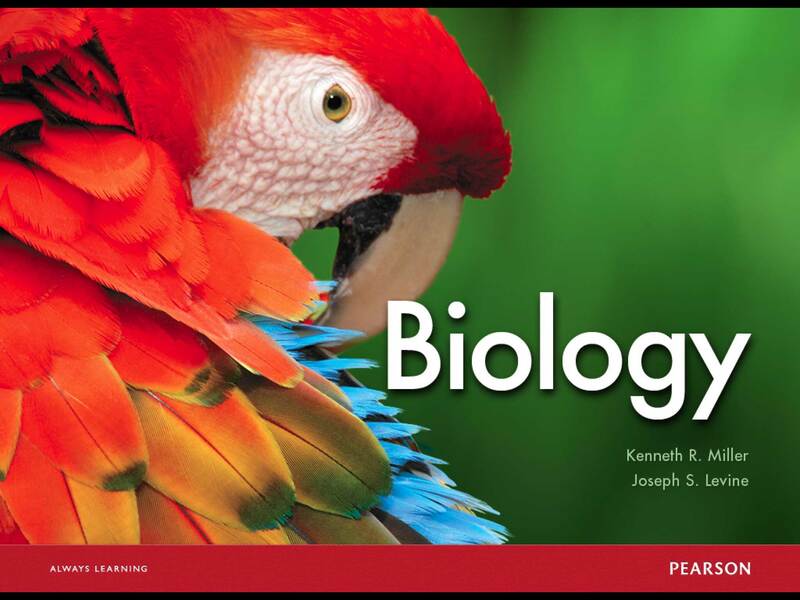 Includes a special video I made for the debut of my Invasive Hunter Academy last year at the US Botanic Gardens in Washington D.C. 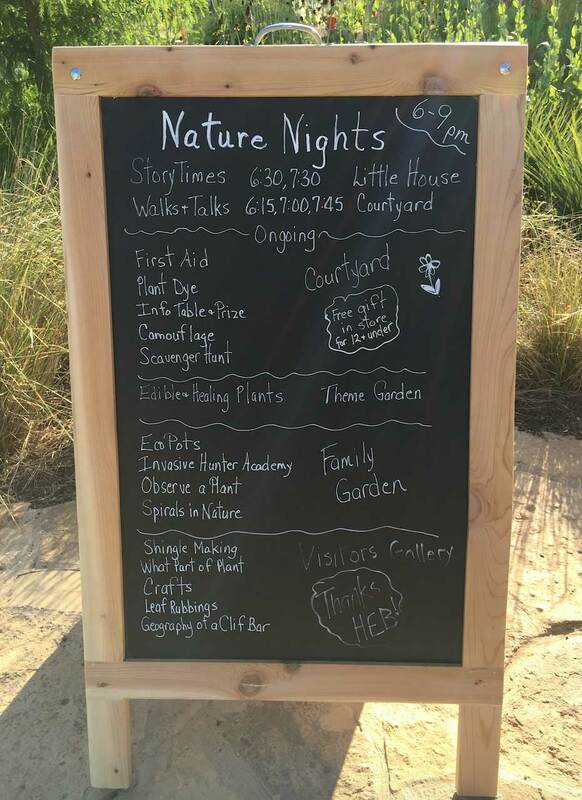 If you enjoyed Nature Nights during previous summers, there’s also something new happening at this year’s Nature Nights. The first 250 people who attend Nature Nights will receive a free ticket at the admissions table for the special auditorium presentation. So in addition to enjoying all the display tables and activities (and the Invasive Hunter Academy! ), be sure to get your ticket so you can get admitted into the auditorium for the special presentation that’s part of each Nature Nights event.